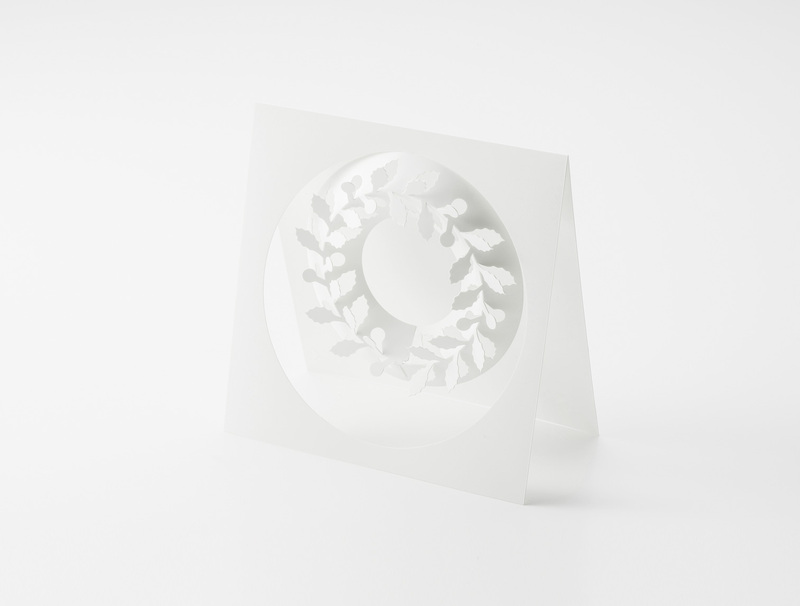 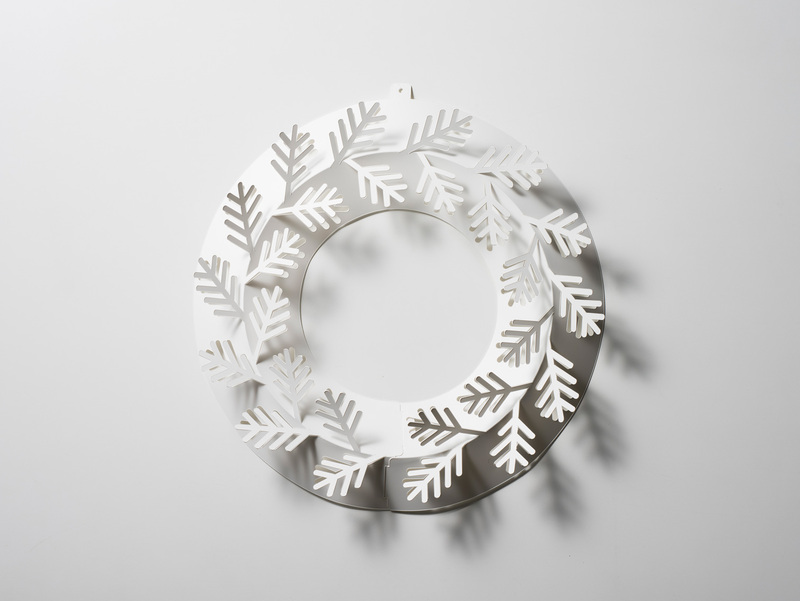 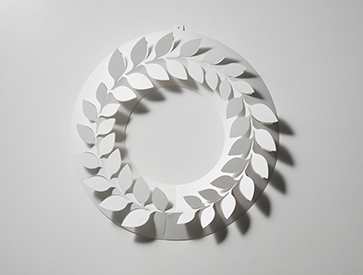 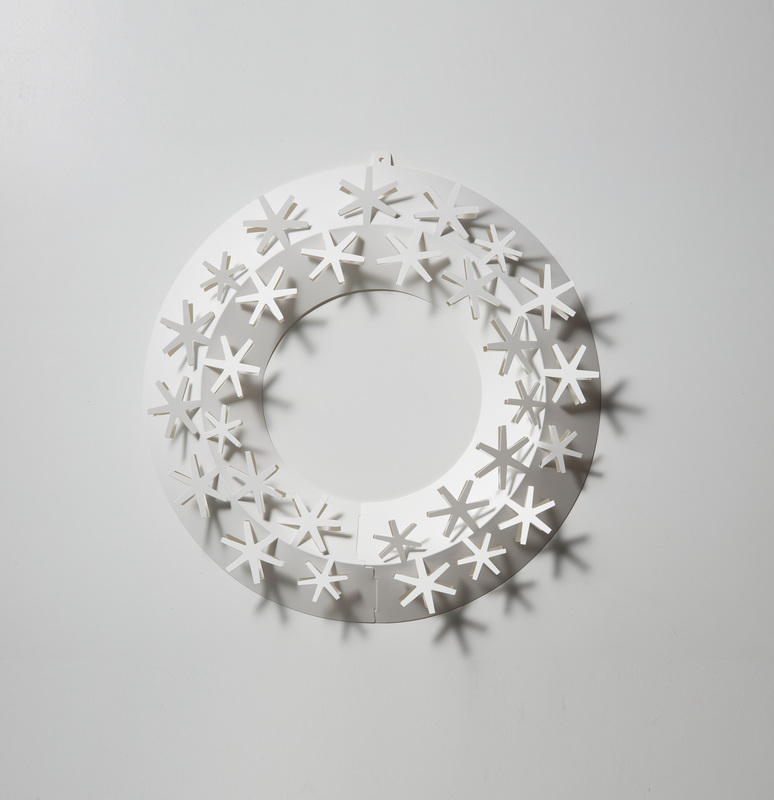 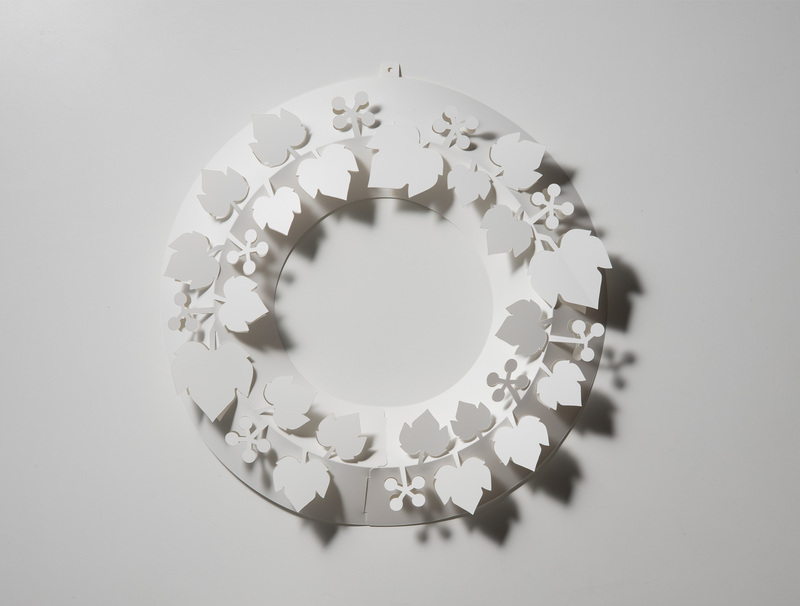 "Paper wreath" is a simple and beautiful ornament like a piece of poetry. 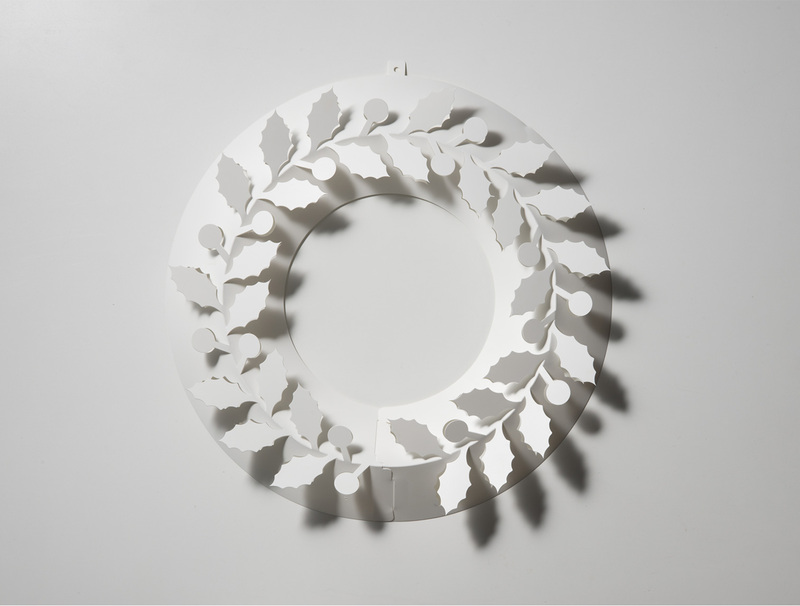 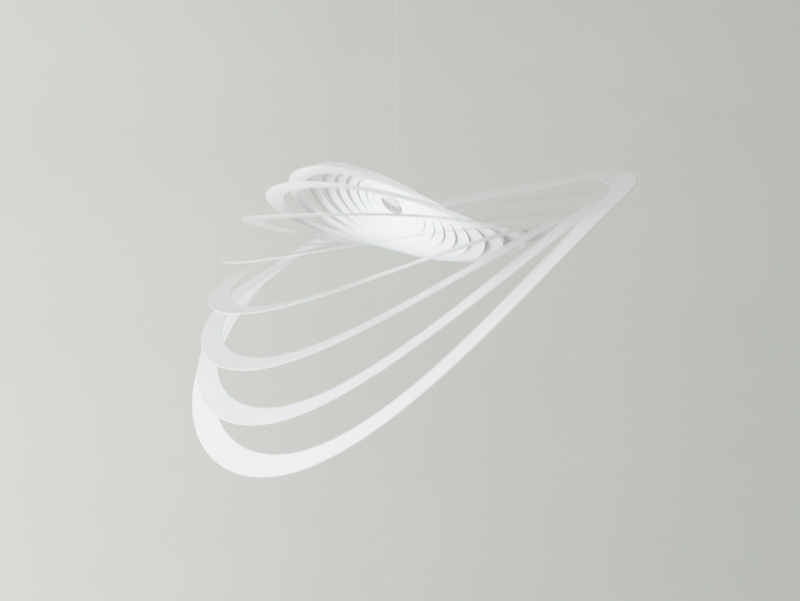 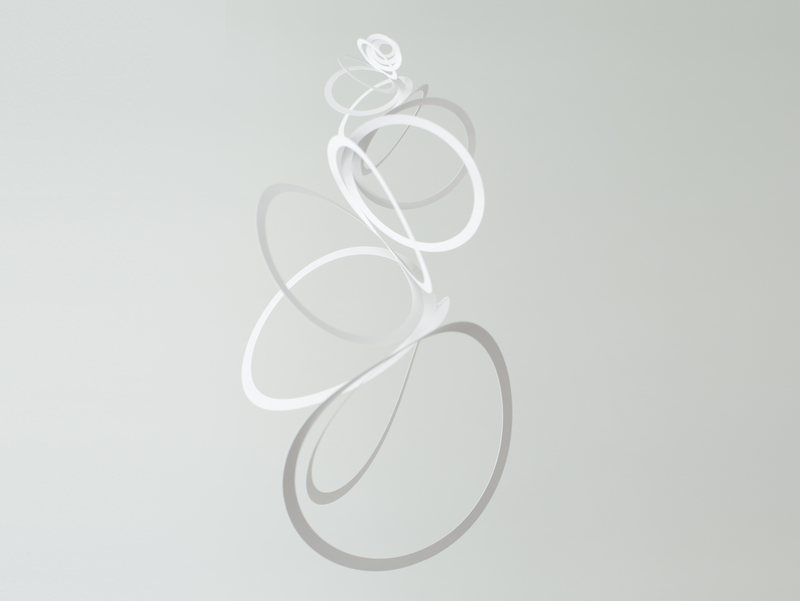 A delicate shade of the pure white paper wreath gives softness and tranquility in a space. 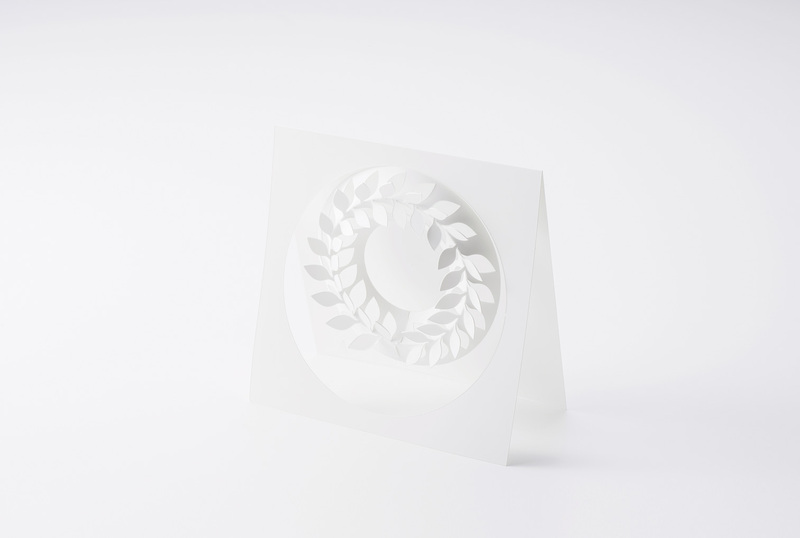 By folding one sheet, you can assemble it so easily and enjoy decorating different places such as on a wall of outdoor and bathroom by virture of its durable and waterproof material. 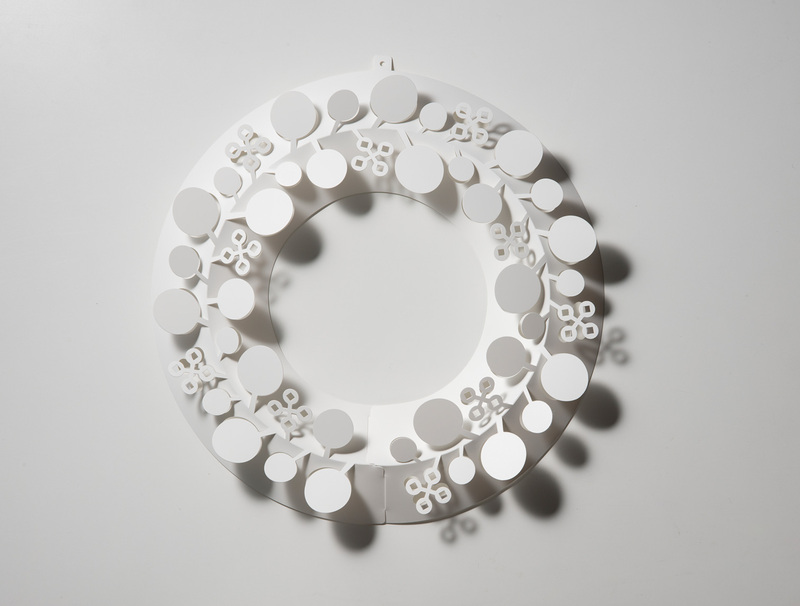 As you prefer, you can add color to its surface. 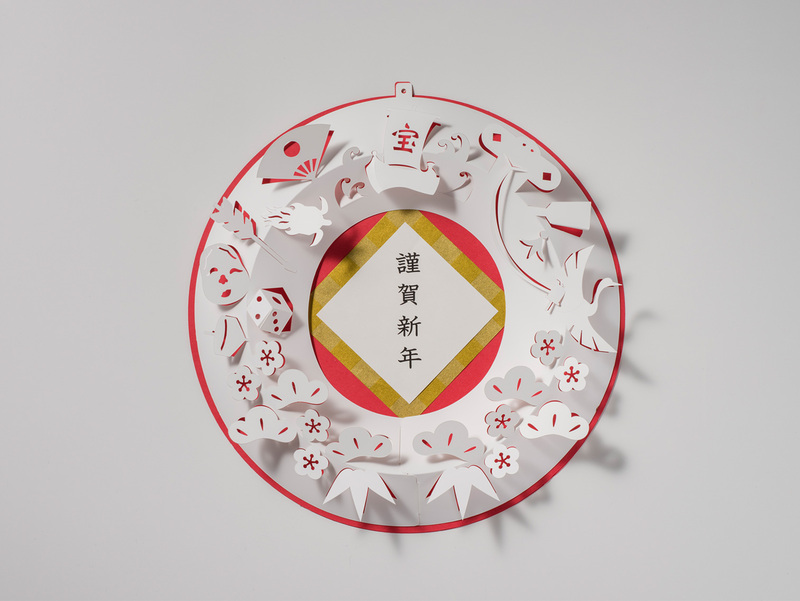 Please enjoy decorating with paper wreath on various scenes.